Gear Circle: How do I turn my Samsung Gear™ Circle on or off? 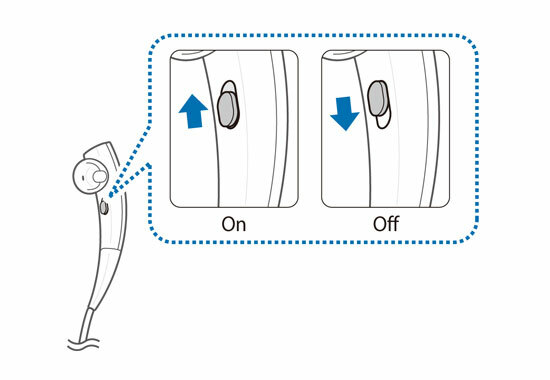 Turn your Samsung Gear™ Circle on or off by sliding the power switch next to the left earphone. Slide the power switch up to turn on your Gear Circle. The status indicator will flash blue three times when the device turns on. Slide the power switch down to turn off your Gear Circle. The status indicator will flash red three times when the device turns off.